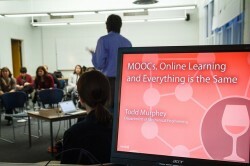 CosmoBC.com » EduBlog » General Education » Learning Languages Online – What Are the Essential Benefits You Can Reap? Online courses are gaining momentum and foreign language online courses are one among the many classes which students are currently enrolling them into. How many times did you think that it’s high time you should learn a new foreign language but then you delayed it just because you didn’t find enough time. Online classes have recently revolutionized the way we learn and study and with the advancement of new technologies, remote learning is also becoming effective and easier. If budget, time and resource constraints have kept you from achieving your dream of learning a foreign language in the past. Take a look at the few valid reasons for learning a language online and why it is a perfect choice! No matter how many innovations have been done in the field of technology, it has never made learning foreign language easier, even after adaptation of an online classroom. However, today multimedia features that are found in online environments blend new ways of learning, including audio, videos, grammar rectification tools which are interactive, chat boards, automation, instant messaging, telephone, webcams and many more features. Multimedia can increase retention rates of students and rectify errors which can turn into embarrassing habits. There are very few people who pick up a new language at the very first attempt and hence repetition will certainly assist students who truly wish to master a foreign language with ease. Conventional class environments usually don’t offer a chance to repeat lessons without interrupting the lesson and a teacher. On the other hand, online courses do offer a chance of repetition and not only that; they even engage students through the entire learning procedure. Online courses are modern adaptations and they believe in ‘out with the old and in with the new’ approach towards teaching a foreign language. It is no way similar to building a new vocabulary. Most often learning a new foreign language will need prolonged study, time and patience. There are many online courses which offer different lesson plans and multimedia tools which are concerned with writing, reading, listening and speaking a new language. There is also the presence of a teacher who can foster understanding and growth among students. Another positive feature of online foreign language courses is that it allows you to learn a new language entirely on your own. For students who are not so independent or autonomous, this may cause an issue but at the same time it is also self-motivating. Learning a new foreign language on your own can be an interesting method of challenging yourself to grow. But the onus is on you to prepare, plan and comprehend the technology. As the online courses are run on computer programs, such courses are extremely accessible at any time. The ease of access makes learning Spanish even possible during lunch break, French during morning walk or German late at night without having to follow any definite schedule. Online courses also provide on-the-go mobile app solutions, allowing you to finish up a coursework anywhere even without having to travel anywhere. So, are you someone who is interested in being bilingual? Though this may be a huge feat, e-learning is definitely possible. 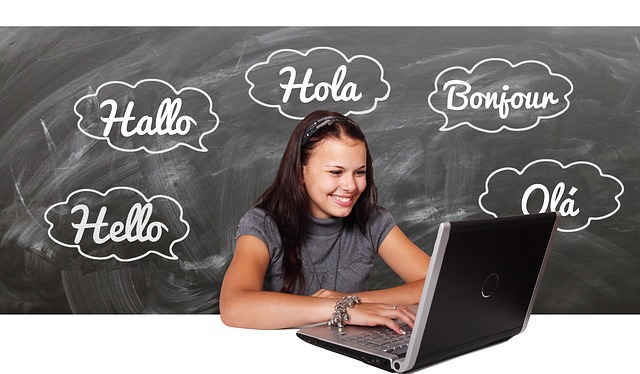 Take into account the above-mentioned benefits of online learning and motivate yourself into becoming a bilingual. You will be rather surprised to see how employers welcome you with a broad smile when they learn that you are bilingual!